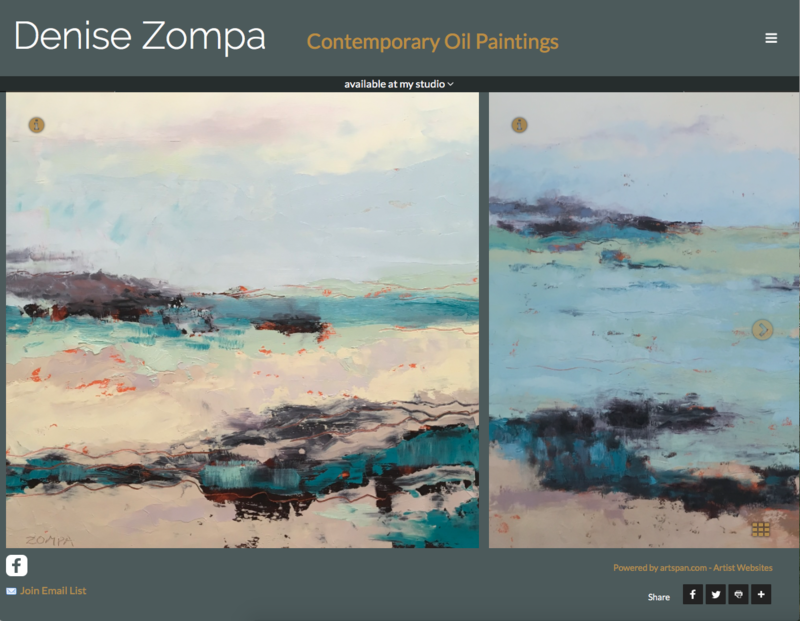 Denise Zompa paints colorful, contemporary landscapes. Her focus is on color, texture, and juicy paint. Her paintings of marshes, fields, and harbors are serene uninhabited landscapes that invite the viewer to enjoy their tranquility. She was using one of our older sites, which didn't effectively showcase her work, so we decided to offer her a website makeover. We updated her site to one of our Florence themes, and used the panorama gallery display option. 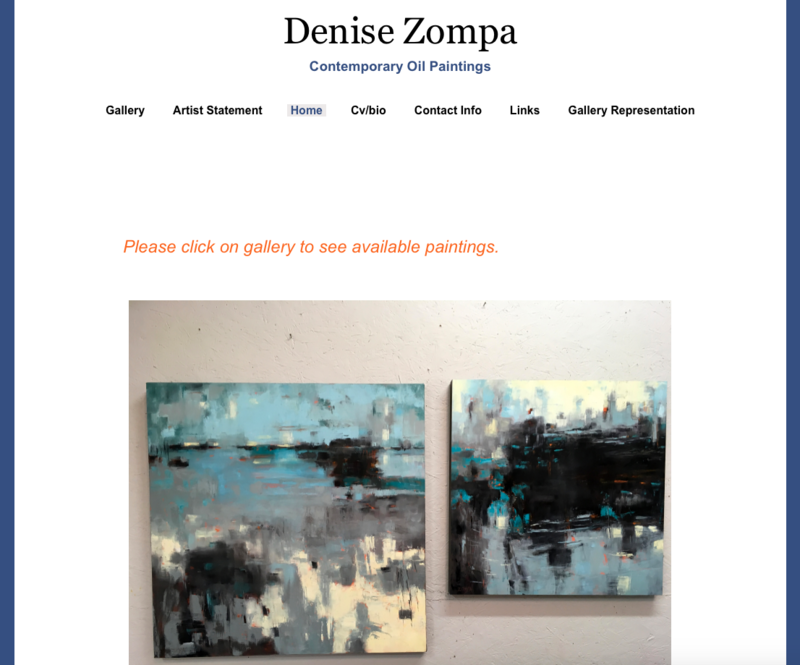 We chose subtle subdued hues to pick up the tones of her tranquil seascapes--nothing to distract from the paintings themselves, and we picked a simple font in clean white.